Trevor Price, co Founding Owner of GOT Baits who needs little introduction. Trev lists his favourite venue as Alders Farm fisheries and just about any method as a favorite too! I have been fortunate to win Matches at White acres, Stafford Moor in the festivals also very lucky to win a national rivers title. 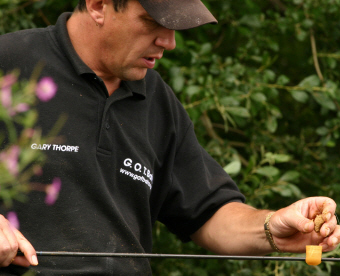 Open wins on Rivers Lakes and canals (on one canal match of 200 pegs I got lucky and hooked a carp which not only won the match but won me a trip to the finals in Ireland) which I finished in the top ten. 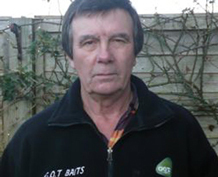 Gary Thorpe needs little introduction, a founding member of GOT Baits, much of the hard work in the early days with Trevor Price and Gary chasing the World Record for the 5 Hour Match has paid off and the result are neatly packaged and sold on to good tackle shops in bags carrying the GOT Bait label. Get into a rhythm and the fishing becomes easy and a big weight is on the cards, all you have to do is pick your coin up at the end of the match. 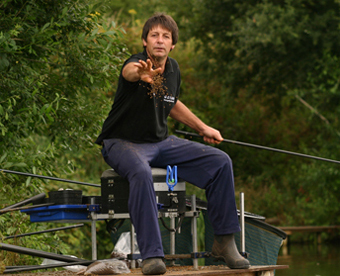 Madd started fishing at about 11 or 12 at Halton Resevoir nr Wendover catching roach and the occasional perch. Madd joined Leighton buzzard angling club aged 22 or 23 and served on committee and as water bailiff for 16 years. Fished the Thames weirpools for a number of years, targeting barbel and large Bream. I Drifted into open matches quite late in life, really just to see how I got on, I put myself somewhere below the stars, but on parr with the majority, I have a pick up now & then which keeps me going, when I stop enjoying it I will stop!